Cary-Hiroyuki Tagawa is one of the most respected martial artist and actors in the Hollywood business. In his recent task, he is playing the character of Hiroki Watanabe in Lost In Space and he wears a very extraordinary attire. We have that Lost In Space Hiroki Watanabe Coat for you. 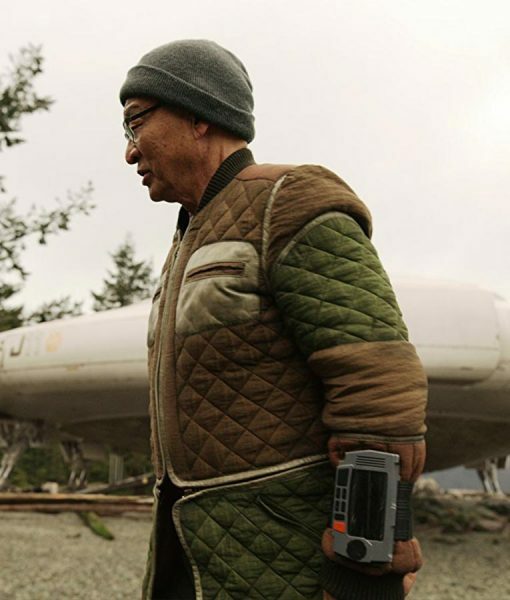 The Lost In Space Hiroki Watanabe Quilted Coat is made from cotton fabric. It has quilted patterns all over the outfit. This coat can be turned into a jacket when you unzip the bottom half from the waist length. The brown and olive green colors give it a very sober appearance. The attire has rib knit collar and cuffs to ensure the accurate fitting as well as the comfort.